Training programs are often launched because a particular program or concept is in vogue. Competitors are “doing it” so they are implemented to keep pace. This can be described as “Solutions in Search of a Problem.” Scott Savage Consulting believes systematic assessment ought to precede imposition of the solutions. The assessment tools employed are utilized to help clients develop their cultures and their talent. These tools can help better define the nature of a problem, help identify probable causes, and provide additional insight into the situation surrounding a problem or concern. Some assessments can also point the way towards specific solutions. The following descriptions (with links for more information) represent some of the wide array of assessment tools, including 360 assessments, we use. The Organizational Culture Inventory (OCI®) is the world’s most thoroughly researched and widely used culture assessment for measuring organizational culture. The OCI goes beyond corporate culture, company culture, and workplace culture, as the cultural dimensions it measures apply to all types of organizations. One of the most respected and widely researched personality inventory or assessment. It has been continuously refined and improved for more than 70 years. Personality Type has been shown to be useful in coaching, team-building, career planning and development, conflict resolution, and a variety of organizational and leader development applications. This inventory measures 20 concentration and communication skills and related behavioral attributes. The TAIS identifies capacities in leadership, emotional control, behavior control, and performance under pressure. The assessment can also be used for individual performance enhancement and to facilitate team building efforts. Emotional Intelligence can be defined as: “. . . a set of emotional and social skills that influence the way we perceive and express ourselves, develop and maintain social relationships, cope with challenges, and use emotional information in an effective and meaningful way.” In use and development for 20 years, the EQ-I has been administered to more than 100,000 individuals. Many have found the EQ-i 2.0 and the MBTI an effective pair of assessments to use together to form a more complete profile for developmental purposes. In addition to employee and leadership development, the EQ-i 2.0 can be effective addition to screening tools used in recruitment and selection. The MBTI, EQ-i 2.0 and the TAIS are proven tools in improving leadership effectiveness. The EQ-i is also available in a 360 degree version that is particularly effective in leadership and managerial development. There is also a 360 degree measure of Personality Type. This 360 assessment tool focuses on clusters of competencies that are particularly important to people in leadership positions. The inventory measures and connects patterns of behavior with habits of thoughts and goes beyond diagnosis providing direction towards effective change. This survey complements the Leadership Circle Profile by measuring the culture that surrounds organizational leaders to assess the degree of support for individual change. A combination of tools can be utilized to support leaders and other employees in working out differences and agreeing on strategies for working together. Organizational Change can be difficult for individuals and teams. Regardless of how on-point is a given developmental or intervention effort, natural barriers always exist to implementing solutions. The right assessments can assist with managing these dynamics and help create a climate where the need for change is better understood and accepted. 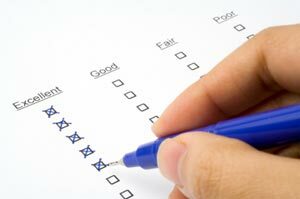 Frequently, clients’ needs require the development of customized assessment tools to meet their goals. Scott Savage Consulting has created scores of customized tools to assist organizations in gathering the information needed to solve their most pressing management issues. 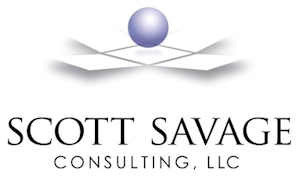 With over 20 years of experience, Scott Savage Consulting practices continuous improvement in serving client needs. Regular attendance at professional development programs, as well as review and evaluation of assessments and tools, expands the potential to deliver better results to clients.